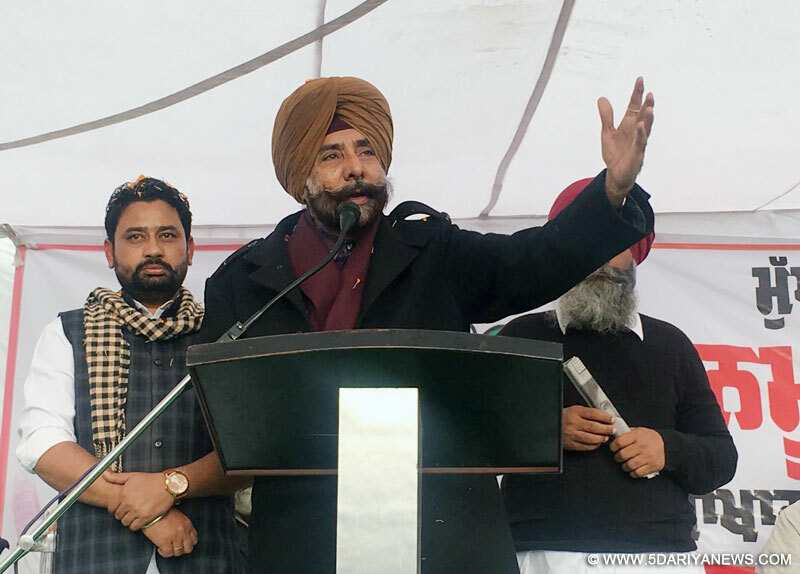 A day after Punjab Congress Youth General Secretary Gurkimat Sidhu resigned from the congress and all party positions he joined the TMC today in the presence of Former MP & TMC Punjab President Jagmeet Singh Brar.Brar welcomed Gurkimat into the TMC at a massive show of strength organized in Barnala and said "I am proud to welcome a committed youth leader like Gurkimat into the TMC family and the people of Barnala have shown their love and support for their son today - I am sure he will lead the party to great heights in Barnala and rise to challenge the nexus of money & political brokers who have held back the real voice of the people here".Gurkimat Sidhu's exit from the Congress s being seen as a major upset for the youth setup of the party in the state and will definitely dim the electoral prospects of leaders like Dhillon and Sibia - Brar added "Youth power will rise from Barnala now".Gurkimat Sidhu promised to take the TMC's message and symbol to every house in Barnala and said "Under Brar Saab's leadership and guidance I will work tirelessly with every volunteer in Barnala to take Mamataji's message to every voter, every family in every village. "Notably the event was attended by local AAP leaders Gora Singh Dhillwan, local circle Incharge of the SC Cell who was an aspirant from Bhaddaur. Others present included Gurbir Sandhu, Gurdas Girdhar, Labh Singh, Gurpreet Jhallli, Gora Dhillwan, and Gurmeet S Geeta.